ASC is a company based out of Connecticut with a product line that encompasses the entire AR-15 Rifle platform. 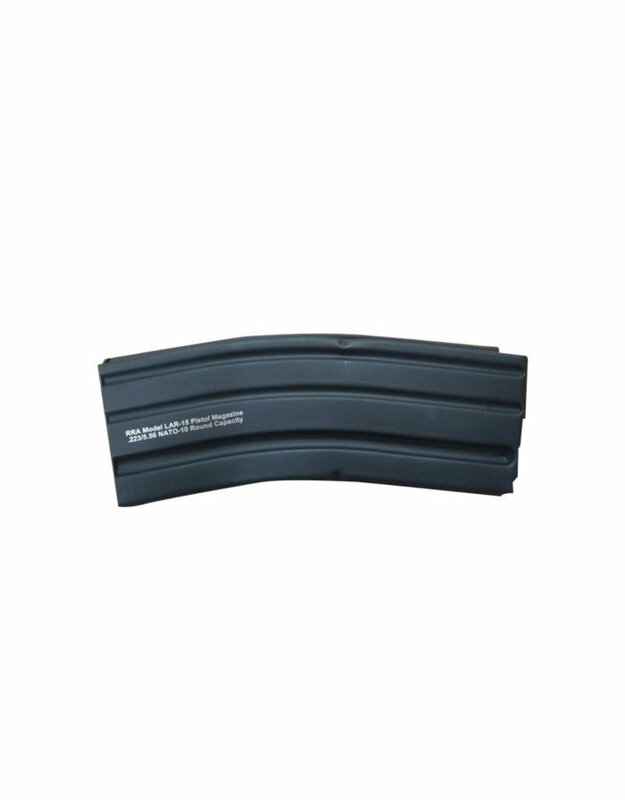 They manufacture and supply most caliber magazines cureently being used on the AR platform. Through the use of cutting edge robotic manufacturing they are able to consistently achieve a level of quality and rock bottom pricing making them an industry leader and supplier choice for most O.E.M manufacturers. Designed for the LAR-15 and similar AR pistols, these magazines are engineered with the highest levels of quality, simply the best in the industry. Heat-treated stainless steel for superior strength and endurance. Chemically treated for corrosion resistance [ref QQ-P-35] and coated with ASC’s proprietary finish Marlube which is a wear-in not wear-off coating that burnishes into the surface that self-lubricates. The interior dimensions of OAL 2.316” ± .002 are perfect for reloads. Holds 10 rounds of 223 Rem / 5.56 and can be used legally in rifles. This pistol magazine tube has been crimped and permanently restricted to 10 rounds. Because of this the follower can not be removed although the magazine can be disassembled by removing the base plate and spring for easy cleaning. These magazines function flawlessly in all pistols chambered in either 5.56 or .223. Fits all AR Style Rifles.